What happens when a regulator digs in its heels and takes advantage of its independence to become unaccountable, non-transparent and capricious in all its roles—such as licensing, regulating, inspecting and supervising banks and finance companies as well as trading in debt and foreign exchange? Things reach a breaking point. For nearly three decades after India embarked on a massive economic liberalisation programme, the Reserve Bank of India (RBI) has repeatedly failed to detect massive scams and wrongdoing but has never been held accountable. Weak supervision (from the securities scam of 1992, to IL&FS in 2018), failure to check dubious lending; permitting bad loans to balloon to over Rs12 lakh crore by expressly permitting various schemes to disguise them, delay repayment or permit fresh borrowing… it's a long list. The need for RBI to be independent of political machinations is recognised by all and, hence, it is treated with such deference that its shortcomings and failures in all its other roles have remained largely unquestioned. The Comptroller and Auditor General of India (CAG) does not even audit RBI, while it audits all other regulators. Interestingly, RBI is facing at least three specific challenges today, when public anger is running high over how the corrupt and collusive nexus between politicians, bureaucrats, bankers and regulators has allowed several dubious industrialists to commit fraud or flee abroad after running up massive debts and transferring funds to tax havens. 1. Transparency Challenge: RBI is in a long battle with the central information commission (CIC) over its refusal to disclose the names of wilful defaulters. The matter went to the Supreme Court (SC) which ruled against the RBI in 11 cases (clubbed by the SC) way back in November 2015. Stunningly, RBI has continued to defy the SC. Meanwhile, bad loans of public sector banks (PSBs) soared; many required prompt corrective action; wrote off several lakh crores of rupees of irrecoverable debt; and the government has been forced to bail out PSBs through repeated capital infusion at public expense. But nobody has held the ‘independent’ RBI accountable for failure to allow matters to reach a crisis point. Finally, in 2018, CIC issued a show-cause notice to RBI governor Urjit Patel for dishonouring SC’s orders and failing to reveal the names of defaulters. RBI has challenged this in the Bombay High Court and obtained a stay order which buys it plenty of time. But it does make one wonder why RBI is so determined to hide the names of large defaulters, when banks are permitted to humiliate smaller borrowers by publishing their names and photographs in newspapers? 2. NCLAT Intervention: The National Company Law Appellate Tribunal (NCLAT), which is hearing the bankruptcy petition against the failed Infrastructure Leasing & Financial Services (IL&FS), waded into RBI’s turf on 25 February 2019, by directing banks and financial institutions not to declare the accounts of the IL&FS group as non-performing assets (NPAs) without its permission. RBI has asked to be impleaded in the proceedings, but it is not going to be a walkover. While admitting the petition, NCLAT reportedly told RBI not to make its decision ‘a prestige issue’. There is no doubt that the rules for recognising stressed assets and provisioning need to be uniformly implemented by a single regulator and NCLAT may have overstepped its brief causing needless confusion. On the other hand, IL&FS’s unchecked, hydra-headed growth and the complex web of 346 companies is entirely a reflection of RBI’s failed inspection and supervision leading to a huge systemic crisis. If RBI is unable to convince NCLAT, it will have to go to the SC; but it is already facing a similar challenge before the apex court. Power, sugar and shipping companies have challenged in the SC RBI’s directive asking banks to report all defaults that remain unresolved even for a single day beyond the 180-day period. At a time when the nation’s patience is running thin over bad loans of dubious industrialists, it is anyone’s guess whether RBI’s arguments will be heard with the same deference as earlier. 3. Kotak Mahindra Bank’s (KMB) Suit: The third and on-going challenge comes from KMB, a regulated entity, which startled the financial world when it decided to sue RBI over the demand to reduce promoter holding to 20% of paid-up capital. KMB has challenged RBI’s powers under the Banking Regulation Act (BR Act) and called its demand ‘manifestly unreasonable, arbitrary, unfair, without the authority of law’ as well as ‘wholly illegal’ and ‘unconstitutional’. RBI, which took a couple of months to respond, while agreeing to refrain from coercive action against KMB, has come back with a rather weak defence. It argued that KMB had, at various times, agreed to comply with RBI’s demand to reduce promoter shareholding in line with its multiple directions and persuaded it to stretch the compliance deadline; it was now going back on that commitment. KMB’s petition, however, claims that it has already complied with RBI’s directions through the issue of preference capital and voting rights are already capped. RBI also mentions ‘inordinate delay’ by KMB in filing the petition. This disingenuously ignores the fact that a tightly regulated entity, especially a bank, cannot possibly drag the regulator to court (especially one that enjoys the special position that RBI does) at the first difference of opinion. Its response also does not explain the rationale behind the frequent changes in policy. RBI starts on a weak note by saying that KMB’s plea should not be accepted because it would set an ‘unhealthy precedent’ and that the ‘the reliefs sought by the petitioner, if granted, shall result in making inroads into RBI’s autonomy’ and make the petitioners ‘regulators of their own selves’. RBI’s second argument is that the petition is filed by KMB, whose shareholding is regulated by it and not the promoter, Uday Kotak. RBI argues that this itself (that KMB is fighting Uday Kotak’s cause) shows how private banks need to ‘more independent’ and reflect the interest of all stakeholders whose voices need to be heard, and not those of one individual or family. This is interesting, because documents attached to the petition indicate that all directions of RBI, including the original licence, were to Kotak Mahindra, the non-banking finance company (which applied for the banking licence) and later to KMB. Had Uday Kotak filed the writ as promoter, RBI could have argued that he has no locus standi, since its directions and dealings are with KMB. This is an issue that may be decided by the court fairly early in the hearings. RBI’s argument is also ironical because the IL&FS scandal, counters its basic premise about the importance of promoter holding as well as the efficacy of its own supervision. If anything, it is RBI’s failed inspections and supervision that have inflicted losses on pension and mutual fund investors and led to a systemic crisis. Ravi Parthasarthy, founder of the IL&FS group, was allowed to remain at the helm and run it like a private fief for 30 years with no direct shareholding. The Employee Welfare Trust (EWT), through which he and the management cabal held some shares (individually insignificant), was shockingly manipulated and RBI was clueless. The experience with IL&FS and even the ‘professionally’ run National Stock Exchange (NSE), make a strong case for ensuring that promoters have adequate ‘skin in the game’ to be held directly accountable, and the need for effective regulation to ensure that they always act in the interest of all stakeholders. In KMB’s case, it could contrarily be argued that Uday Kotak, as promoter, with most of his wealth in the Bank, has both his name (reputation) and money at stake and would work to protect both. In fact, this is an argument that is being made all over the world, in the face of new evidence that management with no ‘skin in the game’ tend to be greedy and even likely to manipulate results and fake performance to extract greater rewards over a short horizon of their tenure, sacrificing the long-term health of the organisation. The KMB matter, which will come up for hearing on 1st April, is unlikely to be decided in a hurry. Meanwhile, there is need for a dispassionate review of RBI’s powers, policy-making and supervision and transparency to stakeholders, who pay a price for its failures. None of the challenges mentioned above is likely to lead to a comprehensive review which will be good for RBI and for the country. As an aside, one cannot fail to mention that Uday Kotak was a member of the Bimal Jalan committee on 'Review of Ownership and Governance of Market Infrastructure Institutions' of 2010, which had concluded that: “Imposing restrictions on ownership is one of the ways of exercising regulatory control over a stock exchange.” This was seen as a way to favour the NSE structure; but, as is clear from later events, it failed in the face of ‘regulatory capture’ by NSE and the Exchange was run like a private fief by the founding team of Ravi Narain and Chitra Ramakrishna. So views change with time and experience on the ground. But, hopefully, the courts and policy-makers will keep in mind that regulatory accountability and prompt supervision are far bigger and deeper issues for the country. We cannot afford continued mishandling on that count. The days of treating RBI as a god that cannot be questioned, no matter how egregious its failures, are long over. Did the RBI carry out their pointless KYC and address proofs on when wilful defaulters opened bank accounts ? Now we can expect RBI to further tighten KYC on the hapless retail customers who are the honest and stable 70% of the banking system assets. This is like locking the stable door after the horse has fled. In fact, even worse, locking the neighbours into their homes after your horses have fled. In any case, why does the bank need a permanent address when all that is needed under contract law is an address for non-repudiable communication. No one is above law in a democracy-not even RBI. It must justify its decision to be in public interest. The major issue is, RBI is the least accountable except possibly to the whims and wishes of the central government. The archaic RBI Act needs to be amended with a view to make its functions audited by the Comptroller and Auditor General of India and be reported to the Parliament. In the present scenario the RBI acts with impunity as it knows the Banks and the Industry in general are at its mercy. The mighty powers of the RBI to formulate and enforce monitory policy are awful and anybody challenging it will do it at the great risk of inviting retaliation. In an open economy, everybody including Regulators be made accountable to the extent of the highest Authority heading the organisation. I thought you would say about the ICICI matter too mentioning about Kocchar. RBI is now a big elphant. They supervise and control public sector Banks. But after their failure they are not responsible. So their officers just enjoy and do their jon very casually. See what happens when train driver , Guard, or even a small employee does not work sincerely. RBI has just taken advatage of every thing going ok.
1. It is a happy augury to note that at last RBI operations are coming under the scanner. Better late than never. 2. RBI HAS IDLE FUNDS OF INR.25 lac crores. It is dead money lying with RBI-KCR,Telmgana CM in his public speech @ Karimnagar beamed over all TV channels. 3. SWFT operations indulged in by most of PSBs + Private banks are as per whim & fancies of respective bank[s]. In the last week, RBI Governor, Shri Shaktikant Das penalized most of Banks for Act violations. 4. How about IBA? No registration under any Indian Act, no audit, no publication of Annual Balance sheets, no transparency, zero accountability. How long does it go on with duds of adhocism in UFM, PMO, since independence? 5. IBA collects INR.hundreds of crores from 243 member banks towards annual membership fees and spends money to bribe UFBU members by doling out cash in crores , allotment of free flats to UFBU steering committee members in BPS every 5 years. No transparency, no accountability on par with RBI. 6. Similarly, no elections in PSB employees’ unions/associations since 2 decades. Only same leaders [mostly] continue and IBA bosses are too busy to insist upon Unions/Associations to conduct periodical elections. As a result, entire PSB employees’, wage revision + pensioners’ benefits are eroded with impunity; A retd. GM of yesteryears gets lesser pension than an attender retired in 2019. A bank employee gets lesser salary than a postman. IBA & UFBU conspired & violated BANK EMPLOYEES’ PENSION ACT, 1995[ passed by Indian Parliament] with impunity. Members of entire IBA + UFBU amassed huge wealth- disproportionate to known sources of income. Any action by UFM/PMO: yet to see light of the day. 7. PSB + PRIVATE BANKS’ FRAUDS & GENERATION OF INDIAN FUGITIVES: The cases of Vijay Mallya, Nirav Modi & Mehrul Choksi=it is only a tip of iceberg? 8. Any political party to address these issues, in 2019 election manifesto? 1.Congress: Sorry, NO. 2. BJP: Maybe? 3.III Front under KCR:Yes. 9. Similarly, PSB/Private Bank Boards: No bye laws, no registration, no transparency & ZERO accountability. Entire big frauds involving thousands of crores come under the purview of Boards. However, most of Bank employees up to GM rank are honest to the core; bad elements were identified & sent home. 10. NO MASSAIAH IS AVAILABLE TO OPEN THE PANDORA’S BOX? NO GUTS? 11. At least, future MPs/leadership may study this reality & take steps within their arena. The article reads well and well argued against RBI but it is totally one sided is what I feel. The need to make RBI accountable is well taken but how to make it accountable when its so called autonomy is only on paper and it is made to dance to the tunes of politicians, bureaucrats and it gets questioned every now and then by all when something against the bureaucracy or media or political philosophy is expressed directly or indirectly by the top management through their speeches and otherwise. The author should have and could have done full justice to her write up by probing into the working of RBI and understanding well as to what extent it is allowed to have operational autonomy in its day to day functioning. No doubt some Governors with their diplomatic skills and taking advantage of political connections, and command over the bureaucracy could appear to be functioning as if the Institution has full autonomy, but some had miserably failed and had to leave despite their intellectual supermacy , mastery over the subject of Economy, Finance and Management. RBI despite all short comings has earned a reputation for its professionalism in keeping the Financial System free from turbulence and unsoundness. The problems seen in NBFCs is not RBIs' making is a well established truth and as long as political and bureaucratic interfrence is there in the functioning of any well meaning Institution , I feel your well intended objectives cannot be achieved. The fact that RBI has punished the erring banks and saved the depositors from catastrophe is well known to the learned public and how RBI fails at times is also well known to all Intellectuals of this nation. The need to make RBI totally independent and making it accountable to the parliament and public is paramount and definitely the need of the hour.Hope this article will help to generate an intellectual debate and help RBI to have its autonomy in true sense of the term. History shows that RBI has never ever been really independent - it is just another government department. I'm surprised that people have such short memory - it was only a few months ago that the government/bureaucracy coerced an 'independent' RBI Governor out, and brought in a more 'compliant' stooge. Why then blame the RBI for it's failures, lack of accountability and transparency? RBI in its present avatar remains untouchable, then this becomes a serious matter and to bring about a change will require lots of courage and face many challenges. I have no comment of my own, its too deep for me. However I await your reply to Aqeel. it is incomprehensible that RBI pulls up Private bank CEOs for NPAs, but can\'t touch PSB CEOs however bad it\'s books are. It would need new Law & Manpower resources to resolve the NPA crisis. All regulators and judiciary have no accountability and behaves as आक़ा i.e full power bit nil responsibility. Market regulator Securities and Exchange Board of India (SEBI) has turned down a Right to Information (RTI) request followed up by an appeal to provide information on the documents provided by a whistleblower in the Sun Pharmaceutical matter. Interestingly, the refusal is on the grounds that it will affect. Responding to first appeal filed by an applicant, the market regulator says, "Providing copy of the complaint would reveal the identity of the whistleblower and may lead to the undesirable consequences of danger to the life or physical safety of the person." In any case, the applicant had not asked for details about the whistleblower and had specifically mentioned that anything sensitive can be redacted. “Whistleblower complaints are made with an objective that the information contained in the complaints may be used for examination of the alleged irregularities by SEBI which may result in enforcement actions. Such complaints may, therefore, be considered as a source of information and assistance given in confidence for law enforcement, which is specially exempt from disclosures under section 8(1)(g) of the RTI Act,” SEBI stated. While denying information under the RTI Act, the market regulator accepted that "complaints from whistleblowers are vital source of information for enforcement authorities and that such complaints are relevant for SEBI in discharging its statutory obligation to regulate securities market." "...it is further observed that complaints from whistleblowers are received and held by SEBI in a fiduciary capacity, since such complaints are made under an implicit trust that identity of the complainant would be kept confidential and that allegations mentioned in the complaint would be examined by SEBI in the interest of investors and securities market," Anand Baiwar, first appellate authority at SEBI stated in its order. 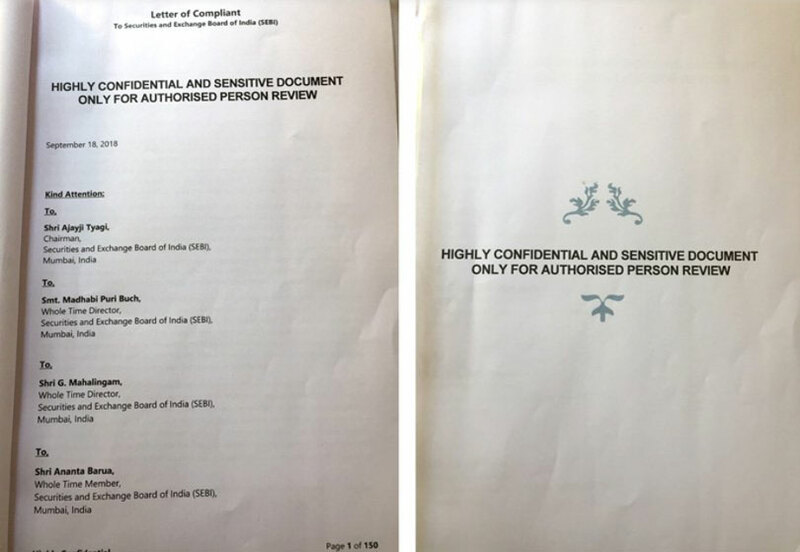 In a sensational 150-page document, a whistleblower has alleged numerous irregularities against Sun Pharma, its main promoter Dilip Shanghvi and his brother-in-law Sudhir Valia, Mr Valia’s independent financial operations, Fortune Financial and Investment Trust of India and Dharmesh Doshi, an associate of Ketan Parekh who has been convicted of wrongdoing in the stock market scam of 2001. Moneylife has a copy of this document filed with the regulator in mid-September. Copies of this letter have been marked to the Ajay Tyagi, chairman of SEBI and whole-time directors Madhabi Puri Buch, G Mahalingam and Ananta Barua. Sun Pharma, in an official response to Moneylife in November last year had said that it has not received any query from the regulator so far. The 150-page document has names, phone numbers, bank account statements and complex organisation charts of hundreds of companies, foreign investors and individuals that are acting in concert. 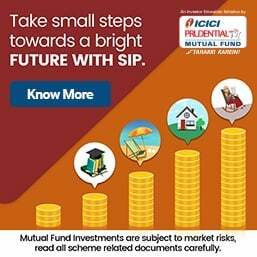 In the covering letter to the SEBI chairman and the whole-time member, the whistleblower mentions that “for me to reach to this level of detailed letter to you along with the evidences gathered over a period, has taken an extraordinary level of efforts at my end and weeks of data compilation. Further it has added lot of risk to my family, my life and my family’s future." 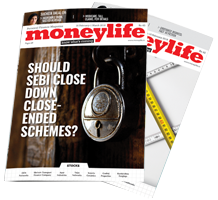 Moneylife has written several articles on Sun Pharma, which are in the public domain. SEBI is Bharath Sarkar dodging accountability through contumacious opacity. It shows by its refusal to disclose information under RTI on whistleblower document and action taken: Corruption Zindabad! SEBI is trying to protect the whistle blower indentity but Moneylife goes on to selectively provide contents from the report which gives out the identity of the whistle blower. True. The denial appears to be genuine to protect a whistleblower. As from the style and language of the letter, there is technology to identify the person, if such other letter drafted by a whistleblower (Suspect) is already available in the system. Most Universities are using the same to check the authenticity of thesis/research papers submitted for awarding doctorate and if such material/thesis was already published by any other university, they can come to know of the original author if any. As such information can only be disclosed by near and dear insiders, they can suspect some persons and check for confirmation of their doubts and may get an idea of the whistleblower. When the Union government promulgated The Banning of Unregulated Deposit Schemes Ordinance, 2019 (the Ordinance) a few days ago, the immediate reaction was one of dismay.